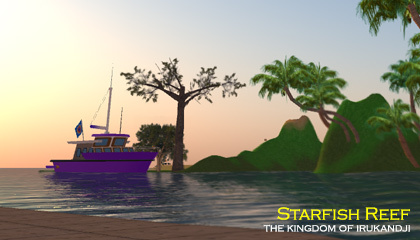 Starfish Reef was a region on The Reef Virtual World. Part of the grid's mainland continent, most of Starfish Reef was public land. The northeast corner housed the Irukandji Palace, home ot the estate team. 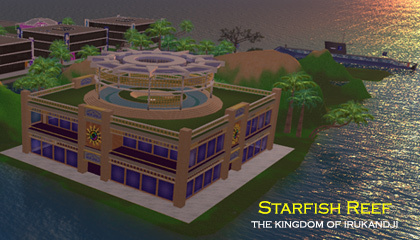 To the southof Starfish Reef lay the grid's landing sim and administrative centtre, Reef City. Below are some photographs of Starfish Reef.